The price of petrol is something that effects each one of us. The higher it goes, the more we fork out at the pump. And the more we fork out at the pump the less we have to spend on clothes; or home improvements; or extra dancing lessons. 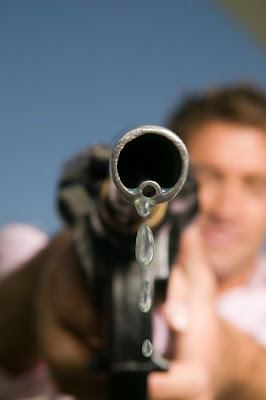 The price of petrol has a significant impact on our day-to-day lives. So what's driving it up then? Is this a result of global market forces - the rising price of crude oil? - demand outstripping supply? - cyclone Katrina oil rig outages? Apparently not. Geoff Trotter from FuelTrac, which monitors Australian petrol prices says; "The crude price is not the determinate of the wholesale price into Australia. The underlying wholesale price is determined by the refined product or unleaded price in Singapore, and for the last almost two weeks, it's actually been trading lower than the crude price. So even though the crude price may go up, there's no fundamental reason why the Australian wholesale price should go up." "The biggest impact on the refined product price in Singapore is the supply situation, and there is in fact an oversupply situation available for unleaded petrol in the Asia-Pacific region. The demand for Northern Europe and North America this northern winter has not been anywhere near as high as was expected... I think oil companies will be looking to make a very simplistic connection between a rise in crude price and rising petrol prices. And to make matters worse, we expect that the oil companies will move petrol prices around Australia tomorrow to levels possibly as high as 128.9 cents a litre. But that rise has absolutely nothing to do with any fundamental increase in the crude price." Very interesting. If there is no "fundamental" connection between the price of petrol and the price of crude oil, then why are petrol prices increasing? And if there is a suggestion that oil companies are exploiting the news about the rise in world prices of crude oil - to push up the price of petrol in Australia - why doesn't the Governnment stop them from exploiting Australians? News Item: "Crude oil prices jumped in New York trading as the United Sates Government repeated warnings to Iran to abandon nuclear research." Ah. Now, all of a sardine, the rising price of crude oil [and hence the rising price of petrol] is not an economic, free market issue. Another connection has been made - a politically expedient connection viz. the connection between the rising price of petrol and the war against terror. "World events" is the reason why. Events way beyond your and my control. Events that are a threat to democracy; our freedom; our very existence [so it is said on Fox News every hour, on the hour]. "Be alert. Not alarmed." is sent out as a message of reassurance - while it really serves to increase the public's fear of terror. "Is it safe to drive over the Sydfney Harbour Bridge?" I hear being asked among a group of mothers over their morning coffee. YES INDEED! The so-called "axis of evil" must be fought at all costs - and the cost of petrol is just one of those costs. In reality the price of petrol has become a glass house - an issue that is clouded with prejudice and propoganda, and we have been duped into accepting this post September 11 "reality". I have often found myself at odds with the world of OFFICIALDOM. The wise "this is how things are done" language and 'ways' of the media, our politicians, our economists, our rich, our priests, our teachers, and our parents have been built around me for 47 years, like glass houses - containing my thoughts, constraining my actions. You see, OFFICIALDOM totally fails to meet our higher order needs = the need to be creative; the need to love and be love; the need to achieve self-actualisation, which comes through being both self-expressed and self-determined. OFFICIALDOM makes us conform because of, and through its ideology = all of our thoughts and actions shall be politically correct, socially responsible, legally prudent, culturally acceptable, economically viable, and mentally rational. We have, in effect, 1984 in 2008. Living a life of full self-expression and self-determination in a world of OFFICIALDOM is a mighty difficult thing to do. I reckon it all starts in the mind. How you see things is how things are. Which is why i created this blog.